Yantai, Shandong Province, China; 27, November 2017: In many industries, aluminum die casting components are used for manufacturing one or another product. 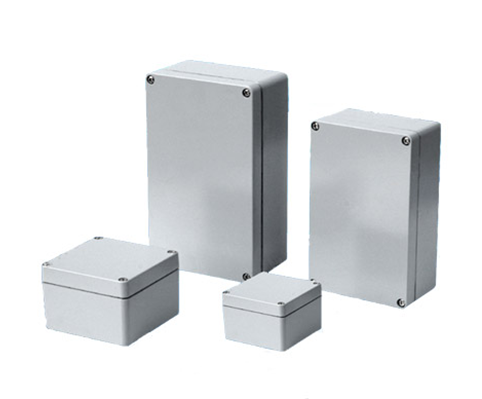 While airtight enclosures made of aluminum are primarily used in the electrical and electronics industry. Santec can now offer both these products with different specifications to meet the requirements of different industries. The company specializes is supplying aluminum die casting parts with precise and custom specifications. The spokesperson of the company reveals that they can produce die casting parts of aluminum in a large range, from 5g to 2500g. They use different aluminum materials, including A380,A360,ADC12,and A413, and give the guarantee of the quality of the die casting parts they produce. According to the spokesperson, these die casting parts are processed carefully and diligently by employing different tooling, machining and surface treatment processes. Besides aluminum die casting, Yantai Lishin Electronic & Mechanical Co., Ltd has a rich experience in CNC machining and they supply CNC machined parts for various industries. The company is capable of supplying CNC machined parts of different metals, such as aluminum, brass, bronze, copper and steel. They specialize in offering ISO9001:2008 quality CNC machined parts that are widely acceptable in all industries across the world. With impeccable surface treatments, these machined parts achieve the desired level of smoothness, corrosion resistance and durability. Yantai Lishin Electronic & Mechanical Co., Ltd is an industrial and international company located in Yantai, Shandong Province, China. The company is one of the professional casting suppliers of aluminum casting, including high pressure die casting, gravity die casting and zinc alloy die casting. With various casting equipment, CNC machines and inspection facility, they can provide one-stop service including tooling design, die casting and precision machining.